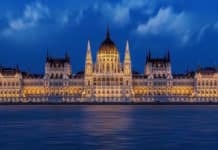 Visit Budapest: What are the best things to do and see in the Hungarian capital? 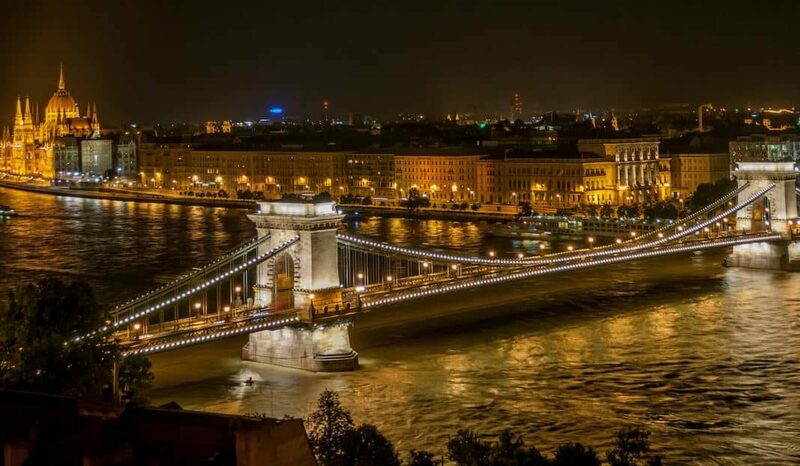 Do not miss the 10 most popular sights and attractions of Budapest! 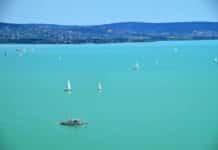 We have selected our favorites, but you can also find an exhaustive list in our article on the must-sees of Budapest and our recommendations for itineraries in 2 days, 3 days or 4 days. Discover our Top 10 things to see in Budapest! 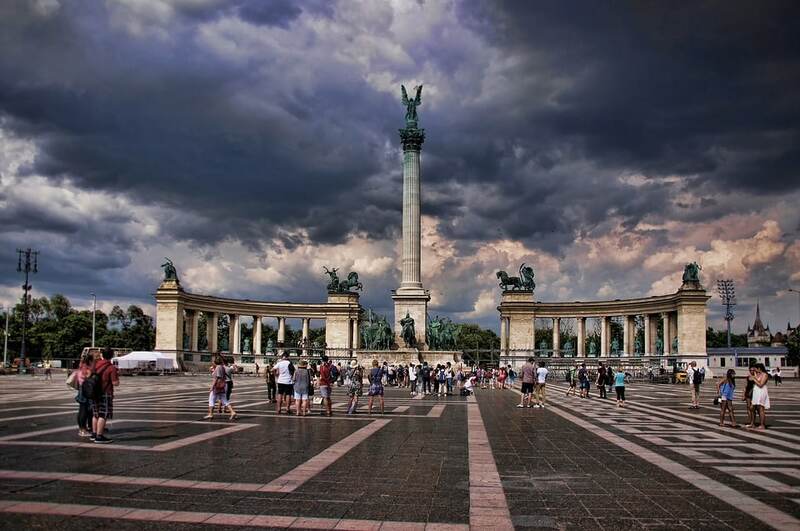 Heroes’ Square (‘Hősök tere’) is the largest square in Budapest at the end of Andrássy Avenue. Celebrating the thousand years of the installation of ‘the Magyars’ in the plain of Hungary, this semi circular plaza is imposing: on the central column stands Archangel Gabriel, the messenger of God. At the foot of the column, the central statue represents Prince Arpad and those conquerors, the chiefs of the seven tribes, who arrived in this territory of the Carpathians. ‘Heroes’ Square is framed by the Museum of Fine Arts, the Hall of Art ‘Mücsarnok’ and the City park with its skating rink in winter. Address: Hősök tere, XIVth district, Pest – map – Metro line 1 station ‘Hősök tere’. The heart of the pedestrian area in ​​the city center is Vörösmarty Square, where the statue of the Hungarian poet, Mihály Vörösmarty, is erected. On the side the imposing white stone building sits the famous Café Gerbeaud where you can discover Hungarian pastries (see our dedicated section for ‘Budapest Cafés’ on this link). 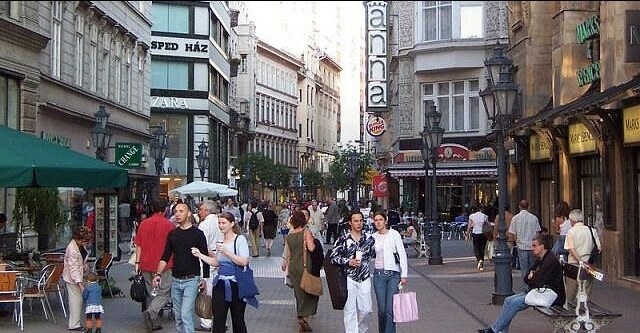 From the square Váci Street emerges as the main pedestrian street of Budapest where you will find many restaurants, and souvenir and international shops. 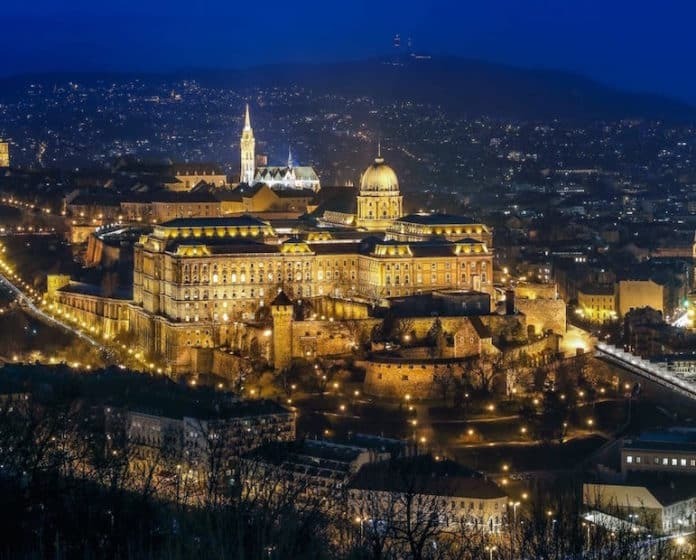 If you turn right onto Vörösmarty Square (at the corner of the Hard Rock Café), you will reach the Danube bank on ‘Vigadó’ Square and will be able to enjoy the magnificent panorama of Buda and the castle. Address: Vörösmarty Tér & Vàci utca, Vigado square – 5th round, Pest – map. 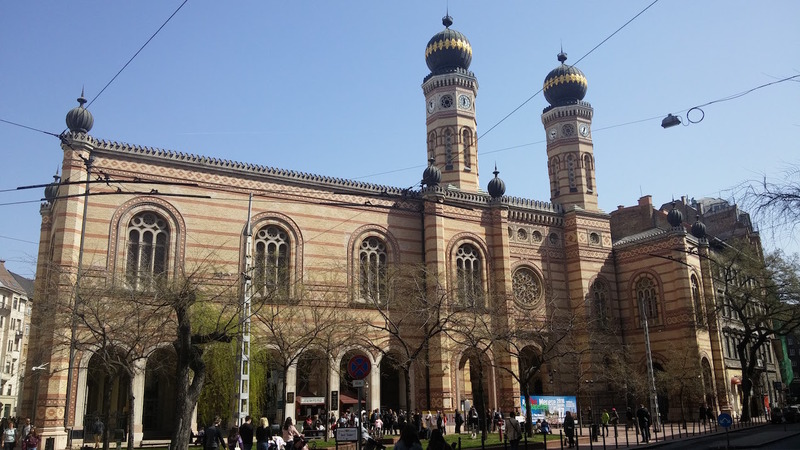 The Great Synagogue of Budapest is the largest in Europe and the 2nd largest synagogue in the world. It was built between 1854 and 1859 by the Viennese architect, Ludwig Förster, in Moorish style inspired by the Muslim models of North Africa and Spain (the Sevillian Alhambra). 27m wide and 75m long, it has a capacity of 3,500 seats. One of its particularities is the presence of a majestic organ on which, at its inauguration in 1859, composers, Franz Liszt and Camille Saint-Saëns, performed. Address: Dohány u. 2, VIIth district, Pest – map. The Budapest Great Market Hall, built in 1897, is a UNESCO World Heritage Site. 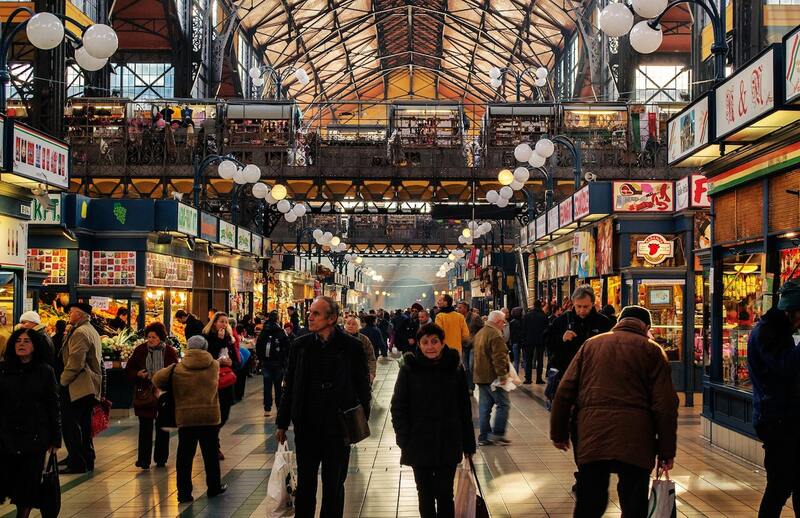 You can discover Hungarian food on the ground floor and savor the essential specialties (paprika, foie gras, salami, wine and spirits, etc.). Upstairs you can eat at the many buffets and find Hungarian craft stands and souvenirs. 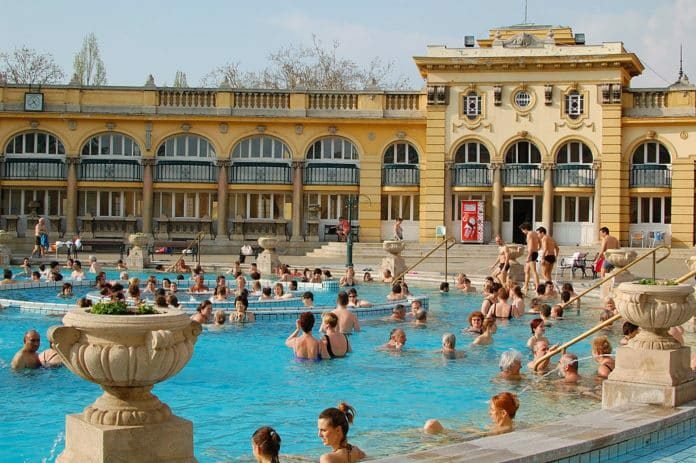 Located in the center of town, this is one of our favorite top 10 things to see in Budapest! Address: Vámház krt. 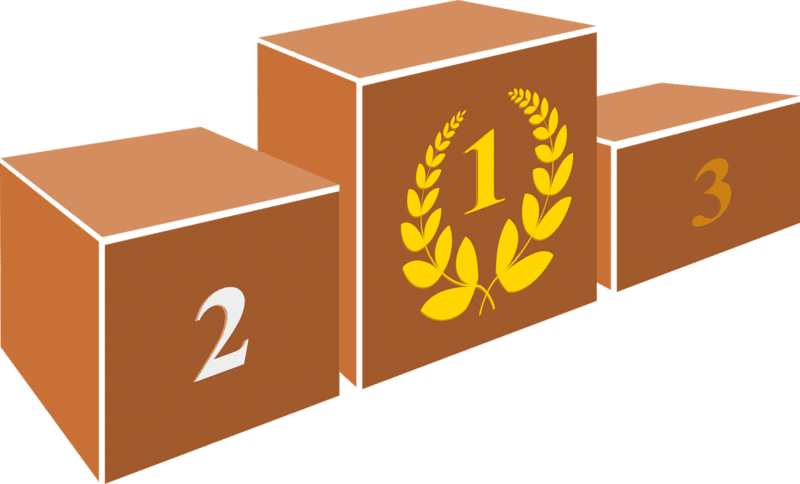 1-3, IXth district, Pest – plan – website. Open hours: Monday from 06:00 to 17:00, Tuesday to Friday: from 06:00 to 18:00, Saturday: 06:00 to 15:00, Sunday: closed. 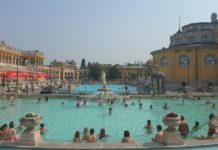 The Széchenyi Baths are the largest baths in Budapest. One can only admire the architecture with a huge Neo-Baroque yellow courtyard and all 21 baths (mixed). It is an essential place to visit! Complete information on this link. Address: Állatkerti krt. 9-11, XIVth round., Pest – plan. Open hours: from 06:00 to 22:00 every day; indoor baths from 06:00 to 19:00. 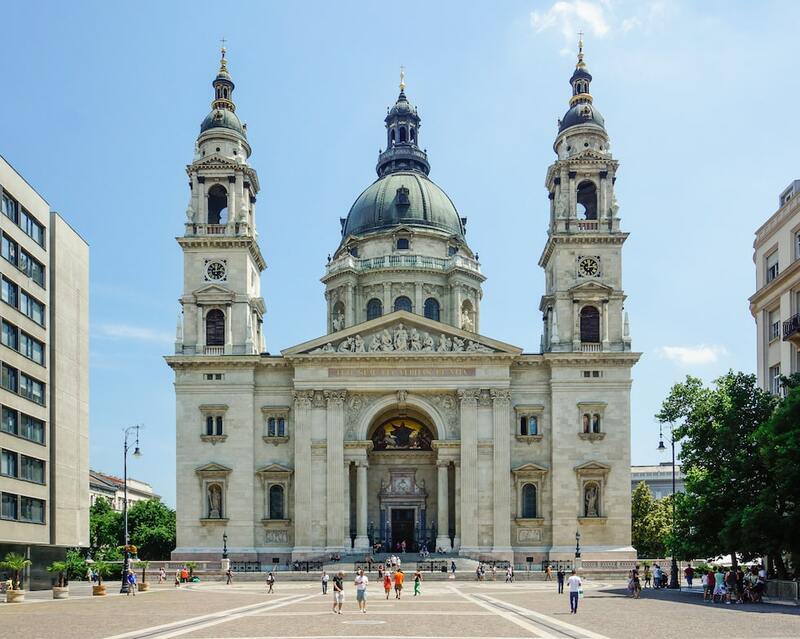 St. Stephen’s Basilica in Pest is the largest Catholic church in Budapest, completed in 1906 after 50 years of work! It bears the name of the first King of Hungary, St. Stephen, founder of the Hungarian Christian nation. In his chapel of Divine Right is exposed a venerated relic of the Hungarian Catholic Church, the mummified right hand of Saint Stephen. You can climb to the top of the towers (by elevator or 370 steps) and from the gallery that surrounds the dome of the basilica, you will admire the superb view of Budapest. The St Stephen Basilica also hosts weekly concerts! Address: Szent István tér 1, 5th district, Pest – map – website. Visit hours: 09:00 to 17:00 Monday to Friday, Saturday: 09:00 to 13:00. Sunday 13:00 to 17:00. 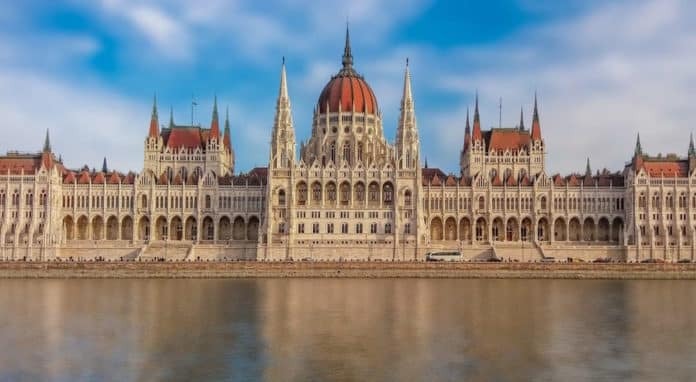 The Hungarian Parliament is one of Budapest’s iconic landmarks: inaugurated in the early twentieth century, it has been the seat of the National Assembly of Hungary since 1902. With 18 000 m2, it is one of the largest parliaments in Europe and the Neo-Gothic facade is inspired by the parliament of London, the Palace of Westminster. The Parliament of Budapest is open every day and visitors will be able to access the main staircase, the central hall in the hexadecagon, the stained glass windows of Miksa Róth and also the crown of King St. Stephen, the first King of Hungary, and his jewels worn by the kings of Hungary since the Middle Ages. Detailed informations in our article ‘How to visit the Parliament of Budapest’ on this link. Address: Kossuth Lajos ter 1-3, 5th district, Pest – plan – website – tickets. Open hours: every day from 8 am to 6 pm (at 4 pm from November to March). Visit only possible with guided tour on this official link. You can also admire the Hungarian Parliament from the Danube via Budapest cruises, day and night (duration 45mn-1h, from 9 euros) ! The Buda Castle is a beautiful historic castle, listed on the UNESCO World Heritage List, built in 1733 where the kings of Hungary resided. 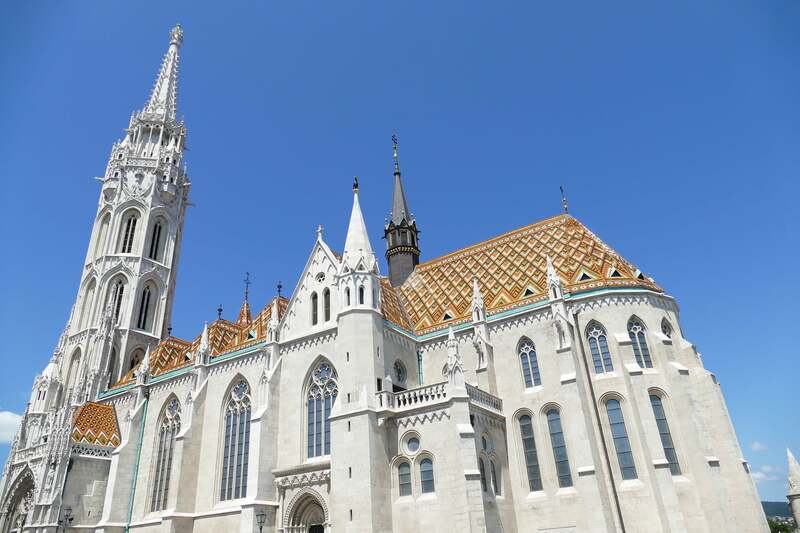 Within, you will find the Hungarian National Gallery, the Budapest History Museum and the National Library. 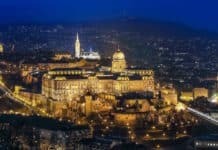 You can reach it by a funicular or on foot, and then enter the castle grounds by the majestic door of Habsburg with its eagle – the Turul, or God’s luminous messenger in Hungarian mythology. Address: Szent György tér 2, 5th district, Pest – map – website. Open hours: 24 hours for outdoor courses, National Gallery: website link. Matthias Church is one of the main Catholic churches of Budapest, located in the Buda Hills in the Castle District within the Old Town. It faces the Fishermen’s Bastion and the statue of St. Stephen, first king of Hungary. The church is the privileged witness of the coronation of several kings and queens, and it owes its name to one of them, Matthias Corvin, crowned king in 1458. Address: Szentháromság tér 2., 1st district, Buda – map – website. Open hours: 09:00 to 17:00; may vary according to events (see website calendar). 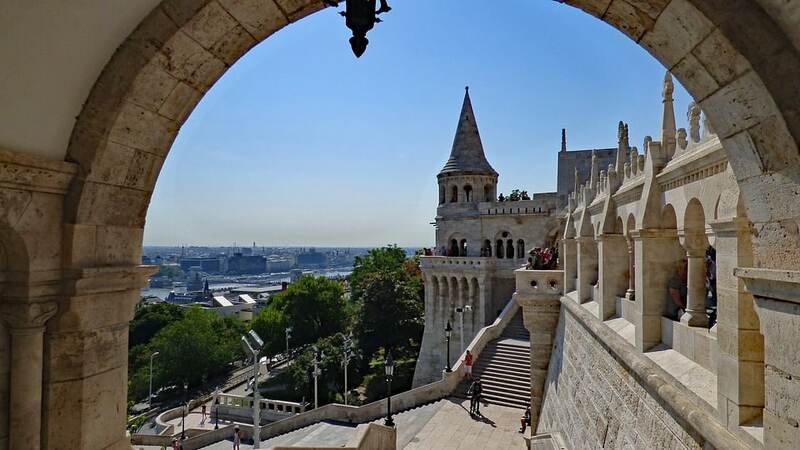 Leading our ‘top 10 things to see in Budapest’ is Fishermen’s Bastion. This Neo-Romanesque ensemble is 140m long and consists of seven turrets that represent the seven original Magyar tribes federated by Prince Arpad, founder of the Hungarian nation. The name ‘Fishermen’s Bastion’ comes from the fishing village at the foot of the castle. Today, it offers a unique panoramic view of Pest and the Parliament, making it our favorite sight. Address: Szentháromság tér, 1st district, Buda – map – website. Open hours: from 09:00 to 23:00 every day. 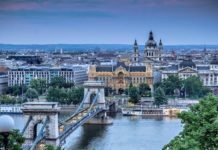 In addition to our Top 10 Things to See in Budapest, do not miss our others Top 10 in Budapest on this link!